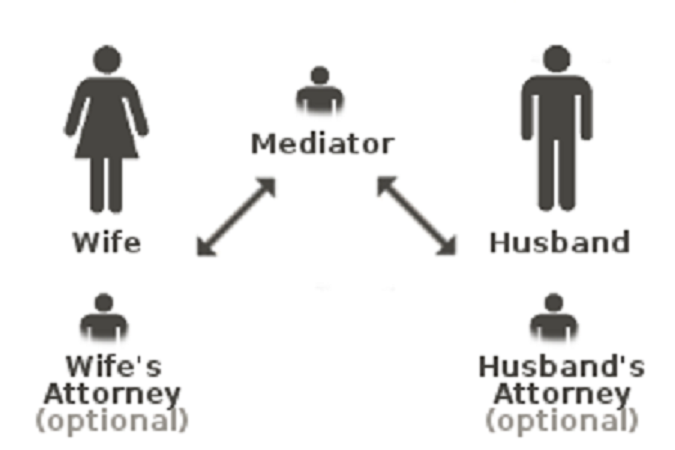 Mediation is a common way used by individuals to reach an agreement, this is according to liveabout.com. When marriages head for a divorce, they require the services of a mediator. However, most people take the matter to court before they actually think of settling it out of court. As time progresses, spouses finally come together and agree to share ideas and come up with a workable solution. This process is called divorce mediation. Most people of late prefer having divorce mediation because it is cheaper than going to court proceedings. You need not to get the fact divorce mediation is also good because it is controlled by the parties involved. This process involves getting a neutral party to oversee the discussion. This neutral party shouldn't be biased to one side and either should he or she make decisions for the spouses. The spouses need to make their own decisions because they are the one's who will live with them. In most cases, divorce mediation has proven useful since most couples have reached agreements. Below are some of the tips you will need to remember before you advocate for a divorce mediation process. You should remember that divorce mediation is a legal process. Thus, you need to have a competent lawyer. The lawyer should have proper knowledge about the procedure. He or she should be there to ensure that your needs are taken care of. You should remember that whatever is agreed upon in divorce mediation is documented and written down for future reference. That is why you can't take chances going for the process without a divorce attorney. Your attorney should be there to ensure that the needs of you and your children are taken care. The attorney will also ensure that no stone is unturned and you don’t say the wrong thing. Be smart and walk into that mediation meeting with an experienced professional attorney. The other tip you should never forget is that this time you have the room to participate in coming up with an amicable solution. That is why you need to have all your needs drafted somewhere just in case you forget them. Remember that what you agree on in this process will affect you directly for the rest of your life until otherwise. If you don't speak your mind, then you will have a hard time reversing what will be decided. However, you need to understand that speaking your mind doesn't mean that you become rude. There are some some things you should compromise on so that the whole process can be shorter than court proceedings. In short, you should be open-minded. You should be ready to hear anything. The other aspect of divorce mediation you need to pay attention to is the regulations in your country. You should avoid the internet because the internet has a lot of information. The information might mislead you. This is because the content you get on the internet might not be applicable in your divorce situation. The internet might advise you on how to share property. That may not be applicable because your marriage institution is in another region or state. That is why you need a divorce mediator from your locality. You should probably consider having divorce mediation Suffolk County if you are in Suffolk. The other aspect of the property is that you need to walk into the divorce mediation process knowing what you own property as a family and also as an individual. This will help settle property owned in a more easy way.